Day 2 of the WPT Seminole Hard Rock Poker Showdown finished with 90 players left from a field of 1,360, the fourth-largest of all-time on the World Poker Tour. Keith Ferrera (pictured) sits on top of the leaderboard following a great day on the felt that resulted in him bagging 1.905 million. The 90 players left in the event are competing for a seat at HyperX Esports Arena in Las Vegas on May 30 where the final table will take place. Ferrera making it that far would account for his second career WPT final table following a sixth-place finish in the WPT Lucky Hearts Poker Open at Seminole Hard Rock in Season X.
Ferrera surged into the lead early in the day when he stacked Rainer Kempe with aces against Kempe’s kings. 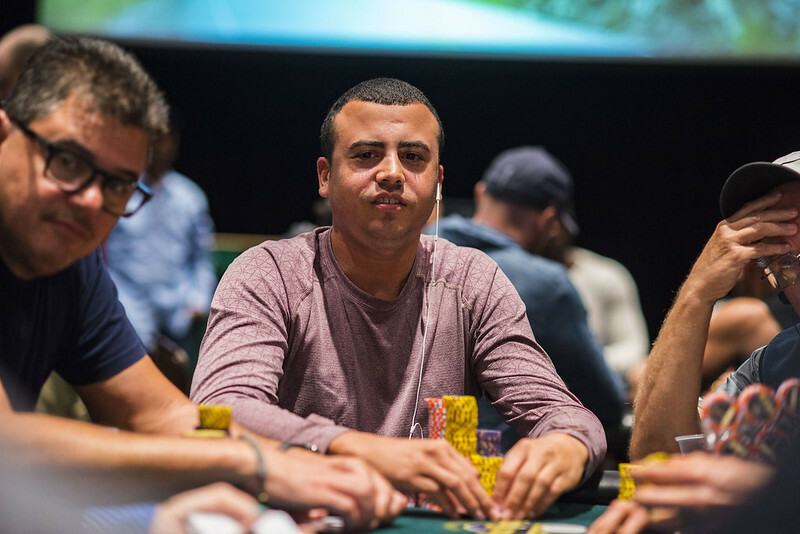 No players managed to rip the chip lead from Ferrera for longer than a full level from that point forward, and Ferrera chipped up to where he starts Day 3. Tough competition sits behind Ferrera in the form of two-time WPT Champions Club member Aaron Mermelstein, who is third overall in chips with 1.425 million. This cash is Mermelstein’s first on the WPT since last season’s WPT Seminole Hard Rock Poker Showdown where he placed 23rd. Second overall in chips is 2016 November Niner and longtime poker professional Jerry Wong, who comes into Day 3 with 1.47 million. Wong busted former WPT Player of the Year Faraz Jaka in the last level of the night to bolster his hopes of a deep run in his current home of Florida. Other Champions Club members with a chance to make it to the winner’s circle once again include two-time winner Eric Afriat (1.15 million), James Carroll (935,000), Justin Young (765,000), Erik Seidel (670,000), Patrick Serda (550,000), Niall Farrell (530,000), Seth Davies (485,000), Will Failla (365,000), Frank Stepuchin (320,000), and four-time winner Darren Elias (235,000). Serda and Stepuchin both have an outside chance of surging up the Hublot WPT Player of the Year leaderboard with a final table finish in this event. Both need to get to the final table to have a shot at overtaking Erkut Yilmaz for the point lead. A prize pool of more than $4 million means 1,400 points are available for first place along with the first-place prize of more than $700,000. 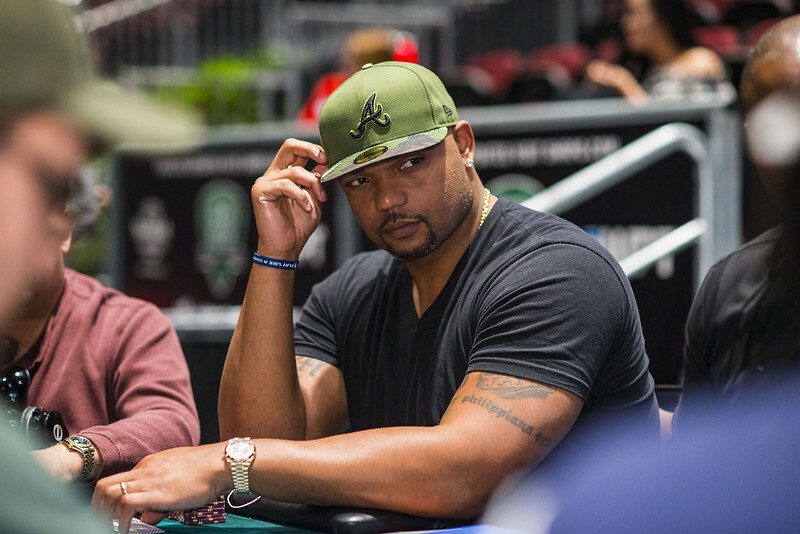 Other notables lurking include WPTDeepStacks champion Maria Ho (655,000), three-time Super Bowl champion Richard Seymour (680,000), and Season XVII WPT Borgata Winter Poker Open runner-up Dave Farah (1,045,000). Farah’s final tablemate Brandon Hall went out on the stone bubble when his lost to the of Ami Alibay. 170 players in total made the money and all who return tomorrow have at least $7,620 locked up. Day 3 starts at 12 p.m. local time with five 90-minute levels on the schedule. By the time Day 3 ends, the field should be down to the final three tables heading into Day 4. The full seat draw for Day 3 can be found here. Stay tuned to WPT.com for complete coverage of the WPT Seminole Hard Rock Poker Showdown.